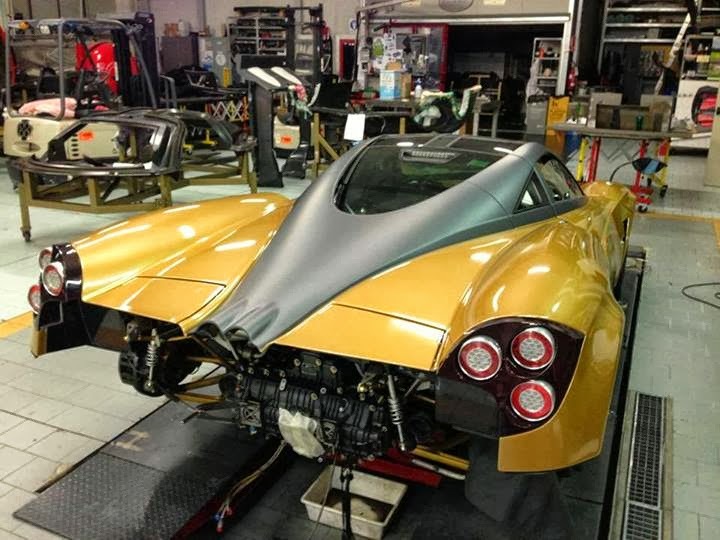 The Pagani Huayra Prototype 5 after many kind of wraps like the Mille Miglia Edition or the Goodwood Edition has now received the Gold Edition wrap, a gold vinyl on the body with carbon fiber pillars, front spoiler and engine cover. This car is the fifth Prototype made for the development of the C9 Project, then rebuilt and utilized as a factory show car. 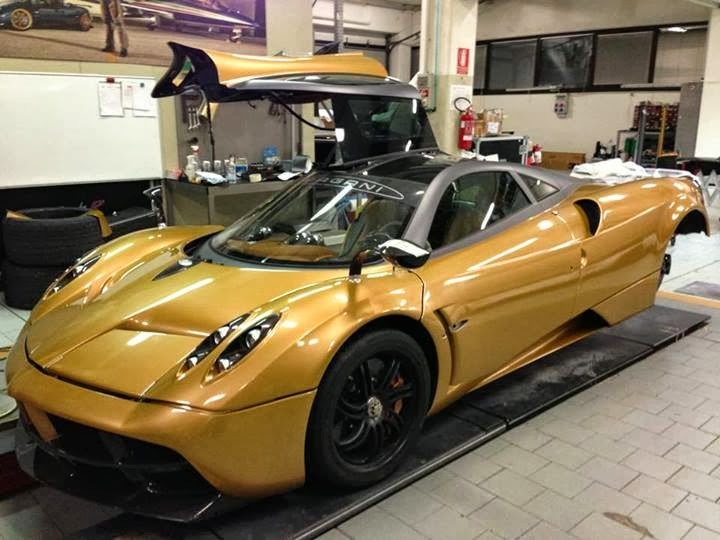 It has been used for the Huayra launch at the 2011 Geneva Motor Show, private Huayra presentation, press relase and many other events. 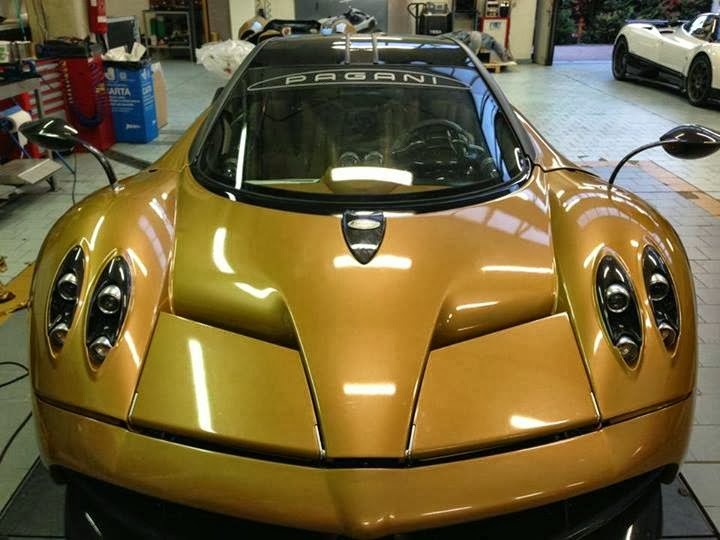 Now it's regularly registered in Italy and it's kept by the factory as a show car for the development of new parts like the track pack.